Comcast Xfinity customers can now stream ESPN onto their Apple iPhones and iPads through a new WatchESPN app, according to Comcast and ESPN. The two companies announced yesterday that Comcast customers who receive ESPN channels as part of their Xfinity package can stream ESPN, ESPN2, ESPN3 and ESPNU onto their Apple devices. They also said that ESPN Goal Line and Buzzer Beater will be available through the app when those channels are in season. 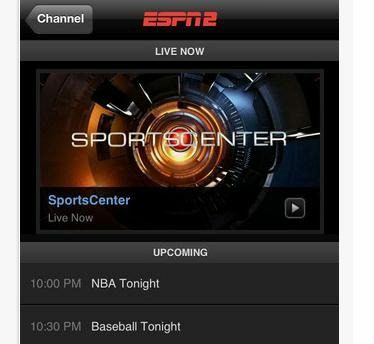 The WatchESPN app is available through Apple’s iTunes store for free. The app is taking it on the chin at the iTunes store when it comes to feedback though. Overall, it has a 2.5 out of 5 star rating. The current version is rated 3 out of 5. 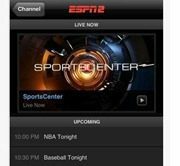 There’s no Android app for the WatchESPN service, but Comcast and ESPN did say they plan to provide the same streaming content to Comcast customers through XfinityTV.com. “The launch of WatchESPN is the first of many launches that we will partner on with Disney, further reinforcing our TV Everywhere commitment,” said Matt Strauss, Senior VP, Digital and Emerging Platforms, Comcast Cable.